More than 3,600 hospitals across the United States have taken a star turn. Many aren’t happy about it, and the same may be true for some members of Congress. Whether patients benefit is still murky. But federal officials, who have been planning a new and expanded hospital rating system for a long time now, have gone ahead with it because they say it will clarify for consumers some critical issues of safety, quality, and cost in health care. Uncle Sam took 64 ratings it already publishes on its Hospital Compare website on measures like emergency room wait times and hospital acquired infection rates, and, summarized these into overall scores for institutions large and small. The Centers for Medicare and Medicaid Services, grouped them, weighted them, and, ultimately, converted the data into stars, from a low of one to a high of five. Federal officials say this rating system, more common with restaurants and on review apps for the young, like Yelp, gives patient-consumers a fast, easy, clear, convenient way to start to deal with the complex, difficult issue of whether a hospital’s any good or not. The hospitals disagree, strongly, and some members of Congress have sided with them, and against the star ratings. Few are … considered as the nation’s best by private ratings sources such as U.S. News & World Report or viewed as the most elite within the medical profession. Medicare awarded five stars to relatively obscure hospitals and a notable number of hospitals that specialized in just a few types of surgery, such as knee replacements. 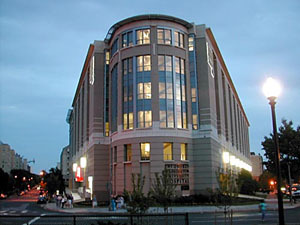 The only two big-name hospitals to receive five stars, Kaiser has reported, were Memorial Hermann Hospital System in Houston and the Mayo Clinic in Rochester, Minn.
Federal officials gave one-star ratings, their lowest, to five hospitals in Washington, D.C., including George Washington University Hospital (shown above) and MedStar Georgetown University Hospital, both of which teach medical residents. Medicare dinged with “below average” or two-star ratings some well-known hospitals, including the University of Virginia Medical Center in Charlottesville (shown at right), and MedStar Washington Hospital Center in the District of Columbia. 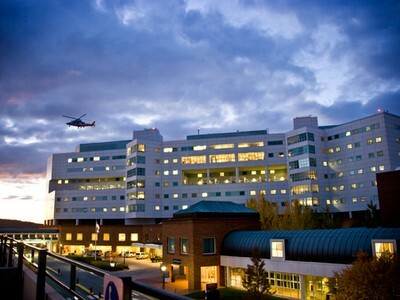 More than 900 hospitals nationwide got four-star ratings, including: some “premiere medical centers” like Stanford Health Care, Massachusetts General Hospital, Duke University Hospital, New York-Presbyterian Hospital, NYU Langone Medical Center, the Cleveland Clinic, UCLA Medical Center, Cedars-Sinai Medical Center, and Penn Presbyterian Medical Center. I’ve written before about the dicey connection between hospital ratings and superior care. To their credit, the Medicare experts tried to account for some of the obvious factors that could affect hospitals’ star ratings, including whether their patients tend to be older, poorer, and sicker, and whether the institutions are big centers that take on notably difficult cases, particularly because their mission includes medical education. Still, published research shows that hospital ratings can be confusing and deeply in conflict among themselves, begging the question as to whether they’re helpful to patient-consumers. When we get sick, it also isn’t as if it’s either a great time or we have great capacity or skill to shop around for care, research underscores. Geography and convenience obviously affect hospital choices, as do where our doctors of choice have privileges to practice. Still, as insurers seek to cut their costs by offering fewer options to consumers about where they can go for care−the so-called narrow network approach−more information about hospitals might be valuable; even this seemingly favorable path, of course, isn’t clear because insurers aren’t always great about providing current, useful provider directories.